Today, the World Business Academy announced the publication of a scientific study that it commissioned to closely examine recent public health data showing abnormally high levels of infant deaths near the Diablo Canyon nuclear power plant. This study by Dr. Christopher Busby appears in the peer-reviewed Jacobs Journal of Epidemiology and Preventive Medicine (See attached copies of “Article Summary” and of full article, “Is there evidence of adverse health effects near US nuclear installations? Infant mortality in coastal communities near the Diablo Canyon nuclear power station in California, 1989-2012”). The article documents “a remarkable and statistically-significant 28% overall increase in infant mortality rates in the coastal strip group relative to the inland control group.” According to the study, a pattern of rising infant death rates (in the first year of birth) has occurred since Diablo Canyon opened in the mid-1980s at Avila Beach in San Luis Obispo County, California. Dr. Busby’s study found that “The increases over the period correlate significantly with cumulative releases of Tritium from the nuclear plant to the sea.” Furthermore, during this same period, infant mortality rates fell for the whole of California and for the local inland control group in the county, providing additional evidence that federally approved, routine radiation releases from U.S. nuclear power plants damage infant health. Dr. Christopher Busby is an expert on the health effects of radiation and has published extensively on the issue. He was Visiting Professor at the University of Ulster in Ireland until retirement in 2012. He has been Scientific Secretary of the European Committee on Radiation Risk since 1998 and was a member of two British Government committees investigating radiation effects. He has served as a reviewer for more than twelve scientific and medical journals and is currently on the Editorial Board of Environmental Health and Toxicology and Jacobs Journal of Epidemiology and Preventive Medicine. During the California State Lands Commission public hearing of June 28, 2016, on PG&E’s request for a lease extension for Diablo Canyon, the World Business Academy informed the Commission of this “soon-to-be-released” study by Dr. Busby and of its ominous implications that infants would die from the plant’s continued operation. 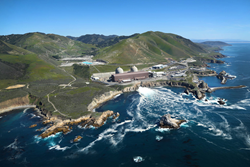 The Academy implored the Commission to examine these radiation-health issues by means of an Environmental Impact Report (EIR) in order to verify whether the data in this study are accurate; however, the Commission refused to order an EIR for the Diablo Canyon nuclear power plant.